Brooklyn-born mob king Mickey Cohen runs Los Angeles. A secret crew of LAPD outsiders led by Sgt. John O'Mara and Sgt. Jerry Wooters come together to try to tear Cohen's world apart. 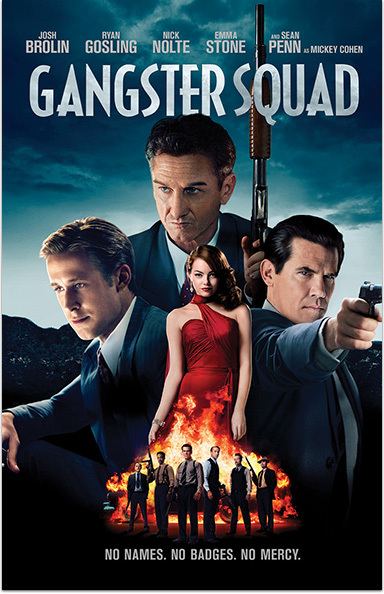 GANGSTER SQUAD © 2012 Warner Bros. Entertainment Inc. All rights reserved.